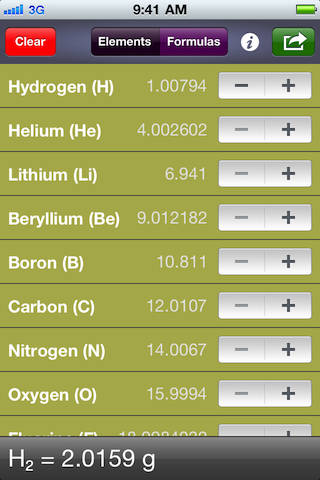 Have this app save and output the molar mass of unordered formulas you enter. 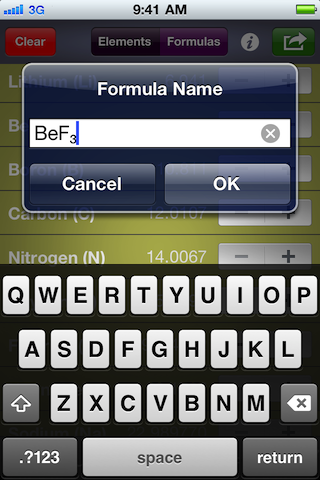 Merp can quickly email or copy and paste any number of compounds saved, even showing the work with a choice of unit type (g/mol or just g), decimal places, and line spacing! Copyright © 2018 TAWCS, Inc. All rights reserved.